Winter is officially in full effect, meaning it’s time to prepare your household in Raleigh and surrounding areas for the harsh weather ahead. While taking care of all the components of winter-proofing your house, don’t forget about preparing and defending winter pests. Unfortunately, pest control isn’t just a summer job; there are many winter pests that can create a bad infestation within your home. And, most of the time, these infestations go completely unnoticed until it is too late. That is why it is important to be aware of how to deal with winter pests. Is pest control necessary in the winter? Yes, pest control is crucial in the winter, especially in Raleigh and surrounding areas of Central North Carolina. Believe it or not, winter pests are surprisingly worse than summer pests. Though mosquitoes, wasps and bees, and other annoying flying insects are gone, this doesn’t mean that the threat of all pests is gone as well. The warmth of your home is particularly inviting to rodents and insects during the harsh temperatures of winter, meaning they do whatever it takes to get inside. That is why it is crucial to take proactive measures to keep pests out. Not only can they be annoying, but also harmful to your health. 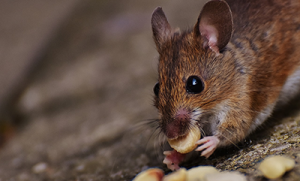 Rodents can carry diseases, such as Salmonella and Hantavirus, spider bites can result in dangerous side effects, and cockroaches can prompt asthma and other allergies. What are the most common winter pests? House Mice: House mice aren’t simply common winter pests, but the most common pests throughout the United States, especially North Carolina. They prefer dark, secluded areas and can significantly damage your home, as they have a reputation of chewing through drywall, wires, and more. These rodents can also spread diseases and bacteria, such as salmonella and tapeworms, and contaminate food. Similar to house mice, other types of rodents prefer dark, secluded spots in your home, like basements. They too can chew through items in your home, so it’s best to keep them out. Cockroaches: Cockroaches are another common winter pest that like to hide in small areas containing moisture. They also prefer to be close to food, which is why they are a big threat to your home. Normally, they are found in kitchens or bathrooms, and cockroaches in kitchens make for contaminated food and the spread of bacteria and pathogens. Brown Recluse Spiders. Spiders too, like secluded places, such as basements, crawl spaces, attics, and closets. Typically, they are found near window moldings, ceiling corners, in boxes, or in shoes or clothes that haven’t been disturbed in a while. What do insects eat during the winter? 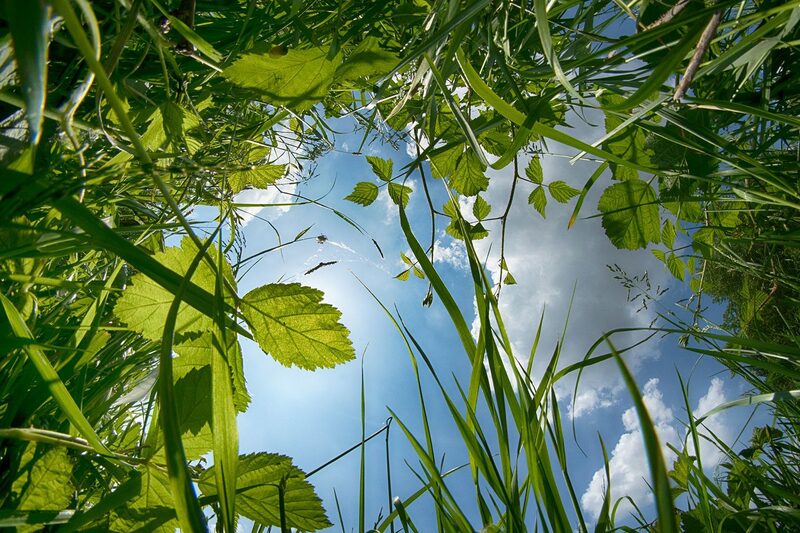 Overall, insects follow the exact same diet that they do during the other, warmer seasons. Most insects simply carry on, as usual, crawling within warmer pockets of grass and leaves, or even on the surface of snow, to find their food. Others undergo diapause, which is where insects enter a semi-frozen state throughout the winter and thaw in the spring. So, aside from the ones that are semi-frozen, insects simply carry on, as usual, eating a range of different foods, from plants and seeds to wood or the flesh of small animals. 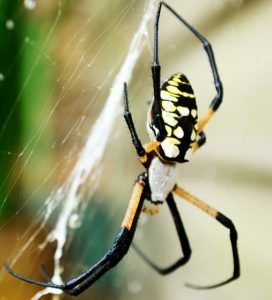 What happens to spiders in the winter vary depending on the type of spider. Some spiders undergo a process known as cold hardening, where they produce antifreeze compounds to help them survive, before finding shelter within homes, leaves, or bark. If these antifreeze compounds are not produced by the time the temperature reaches harsh temperatures, they will die. Other spiders seek shelter between the ground and the snow, where the air temperature is warmer and do not make any webs. Can spider eggs survive the winter? No, spider eggs cannot survive the winter. That is why most spiders produce eggs during the fall or once winter ends. During the fall, it is important to vacuum your entire home before winter to ensure no spider eggs are within your home. Does cold weather kill insects? While all insects have the ability to survive winter through the use of various tactics, such as burying themselves, burrowing themselves, and hibernating, if the temperature drops below a certain point, that is when they do not survive. Generally, the colder the temperature, the less of a chance the insects have of surviving. Winter pests are never fun to deal with, and an infestation can cause a costly situation. However, these creatures are crafty, and they can easily discover ways into a home that is not properly prepared. That is why it is best to ensure that winter pests never gain access to your home with professional services. At Stomp Pest Control, one of our major goals is to perform a thorough and consistent service that our customers can count on. Whether your home is in Raleigh, Cary, Wake Forest, Chapel Hill, Durham, Holly Springs, Apex, or other Triangle locations, you can count on Stomp Pest Control to rid your home of pesky rodents, cockroaches, spiders, and other nuances. Be sure to fill out our contact form below or give us a call today at 919-231-3292 to learn more about The Stomp Difference and how we can eliminate your intruding winter pests for good!